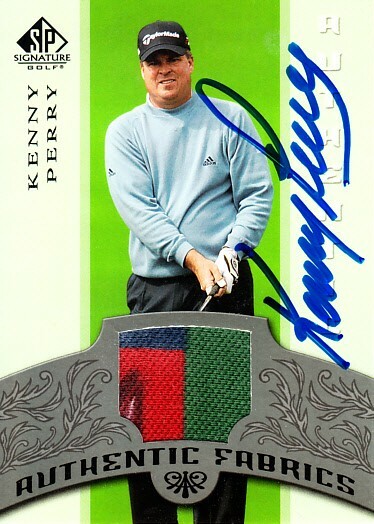 2004 Upper Deck SP Signature tournament worn shirt swatch card autographed in blue Sharpie by former PGA Tour star Kenny Perry. Obtained in person, with certificate of authenticity from AutographsForSale.com. ONLY ONE AVAILABLE FOR SALE.